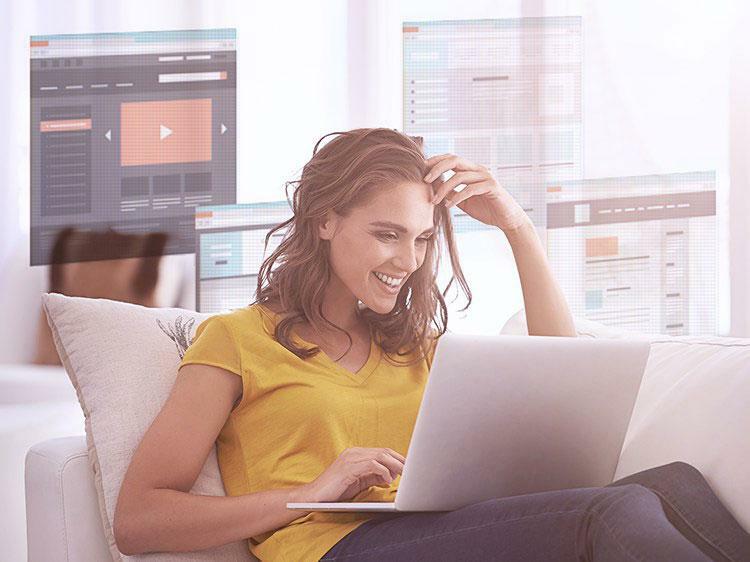 Go back to school—and get your career started on the right foot—from the comfort of your living room. Just because you’re no longer sitting in a classroom five days a week doesn’t mean your student days are behind you. Remember, there’s nothing hiring managers love more than an employee who is committed to self-improvement. And if you’re serious about putting your career on the fast track, you need to demonstrate your willingness to learn and grow. Online education offers you the opportunity to do just that—at a pace that works with your schedule. Monster partner Udemy.com offers more than 40,000 skill-building online courses in a wide range of subjects. We looked through their course list to pick 10 that will help any early-career professional get a head start up the corporate ladder. After you’ve got a few years of entry-level job experience under your belt, it’s time to make your first big move up. That involves polishing your job-application materials. Human resources professional and startup veteran Devon Campbell leads this soup-to-nuts course that offers practical tips on how to make your resume stand out, write a compelling cover letter and how to utilize Monster’s job-search tools. How can you make sure you’re earning what you’re worth? Jim Hopkinson, author of Salary Tutor: Learn the Salary Negotiation Secrets No One Ever Taught You, covers everything from simple negotiation techniques and stress management to storytelling skills and what not to do. (You’ll also have no problem fitting it into your schedule since the complete course is only 32 minutes.) Free! After leadership and teamwork, writing is the most important skill employers look for, according to a survey by the National Association of Colleges and Employers. So you better brush up! Veteran journalist Shani Raja, who has contributed to national publications such as the Wall Street Journal, The Economist and Bloomberg News, will teach you fundamentals that’ll dramatically improve the quality of your writing and help you stand out from the competition. A killer resume is much more than a piece of paper with your credentials; it’s the anchor of a strong job application. Learn the ABCs of resume writing from career coach Sequoya Moe-Willis. It’s an ideal course for recent college graduates since you'll finish the course with a polished resume that you can use for job applications. To snag your first job, you need to know what entry-level hiring managers are looking for. HR professional Kate Hooper taps her industry experience to help guide early career professionals through job interview strategies and post-interview tactics and offers general advice on how to make a great first impression as a new hire. Don’t have any real-world job experience yet? Don’t panic. Taught by former HR director Eric Seto, this course will teach you the basics of navigating today’s job market, including how to find unlisted jobs, research prospective employers and engage with recruiters. Free! To have a successful career, you need to know how to build and maintain relationships. This short course (31 minutes)—taught by entrepreneur and soft skills expert Rommell Wallace—shows you how to make connections, nurture your network and leverage your contacts to find jobs. Still haven’t figured out what you want to do when you “grow up” but know it’s not what you’re doing now? Transferable skills can be your best friend while you get your feet wet. So what are they exactly, and why are they so coveted by employers across all industries? Career coach Waller Jamison has the answers. He shows you what skills are useful for any job and provides advice on how to develop them. Artists, writers and graphic designers are often required to submit a portfolio with their job applications, and its appearance is clearly key to getting noticed. Software developer turned project manager Loi Tran teaches you to build, customize and optimize your WordPress website so it can stand out from the crowd. Free! Interested in exploring other courses? Click here to access Udemy's course catalog.